Regina Mare offers the possibility of getting married on a caldera view terrace with the world’s most spectacular sunset as the backdrop. Small, intimate events is our specialty and we will do all we can to make your dream wedding come true! We will be by your side throughout the planning process to ensure that none of your wishes is left behind and we will take care of all your needs on this special day. Starting from decorations and photographer to hairdresser and pampering spa treatments - we will take care of that all so you can have a hassle and stress free wedding day. Each wedding is unique and tailor-made depending on your preferences and dreams, so do not hesitate to reveal them to us! 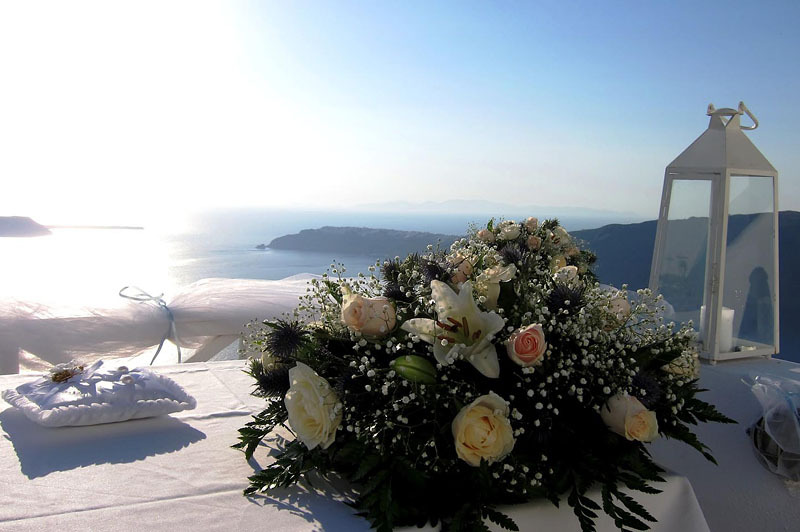 If getting married in Santorini is your dream, contact us and together we will make it happen!